British university students’ rental payments are being channeled through a charity with links to the Muslim Brotherhood in a bid to finance Islamist projects throughout Europe, an investigation claims. These financial flows wereuncovered by the Timeson Friday, following an in-depth investigation. UK charity Europe Trust, funded by Gulf donors, has invested millions of pounds in a broad-based property portfolio that includes student accommodation attached to the University of Leeds. The tenants of up to 47 separate apartments, located near the university, are unaware that their money is funding Europe Trust’s objectives, the Times says. While the Muslim Brotherhood has been outlawed as a terror organization in Saudi Arabia and the United Arab Emirates, it has not been banned in Britain. Prime Minister David Cameron called for an inquiry into its influence and role in Britain in 2014, but its findings are yet to surface. Europe Trust’s property assets total more than £8.5 million. The charity channels rental income from its properties into a loose network of organizations across Europe that has links to the Brotherhood. Among these, are the Muslim Association of Britain (MAB), which was flagged by a government minister in 2010 as “the Brotherhood’s representative in the UK” and a group of Arabic-speaking religious learning institutions. 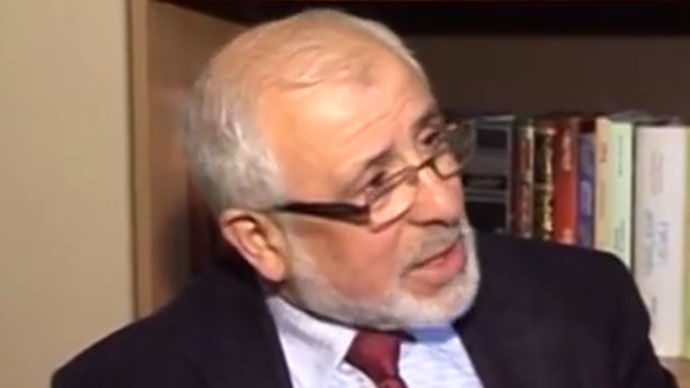 Europe Trust's executive director is Ahmed al-Rawi, who holds strong views on the Israel-Palestine conflict. Present and former trustees of Europe Trust include senior officials in two international aid agencies outlawed by Israel, the Times investigation reveals. The aid agencies in question were also accused by the US administration of acting as conduits for financial flows use to support Hamas. Nevertheless, there is no evidence to suggest Europe Trust is financing organizations embroiled in terrorist activities. Europe Trust insists it is an independent charity, which seeks to cultivate equality and harmony across cultural divides. The Muslim Brotherhood has long condemned terror acts and insists the network is a peaceful movement derived from core principles associated with Sharia law. Downing Street is yet to launch a formal investigation.